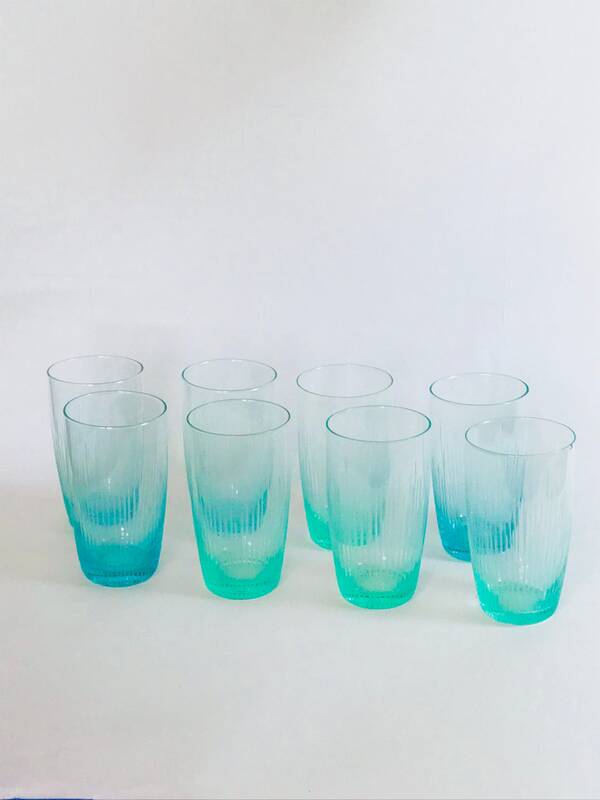 This is such stunning set of eight 1960s glasses! 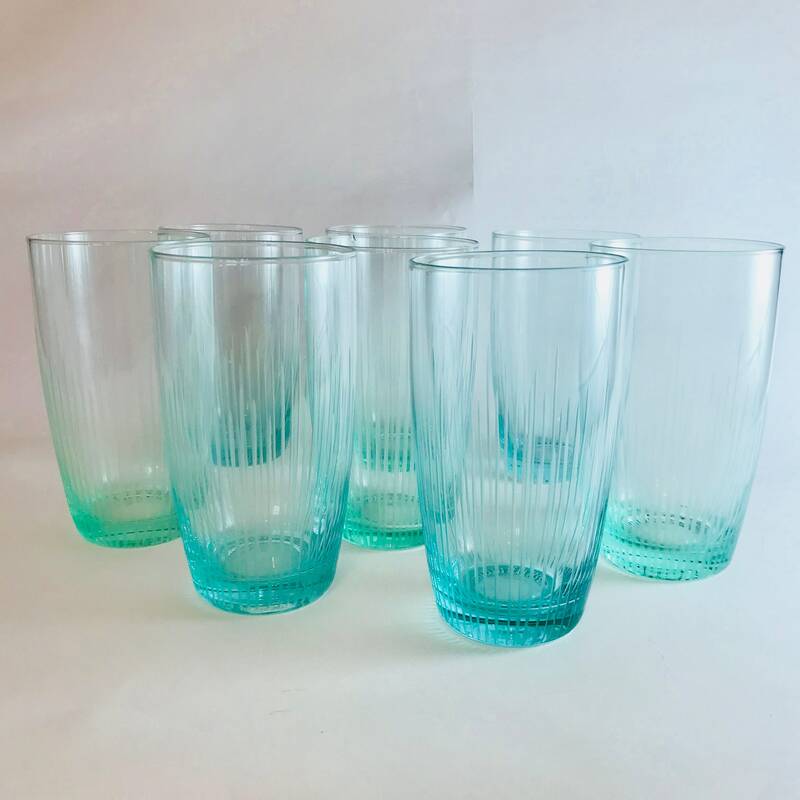 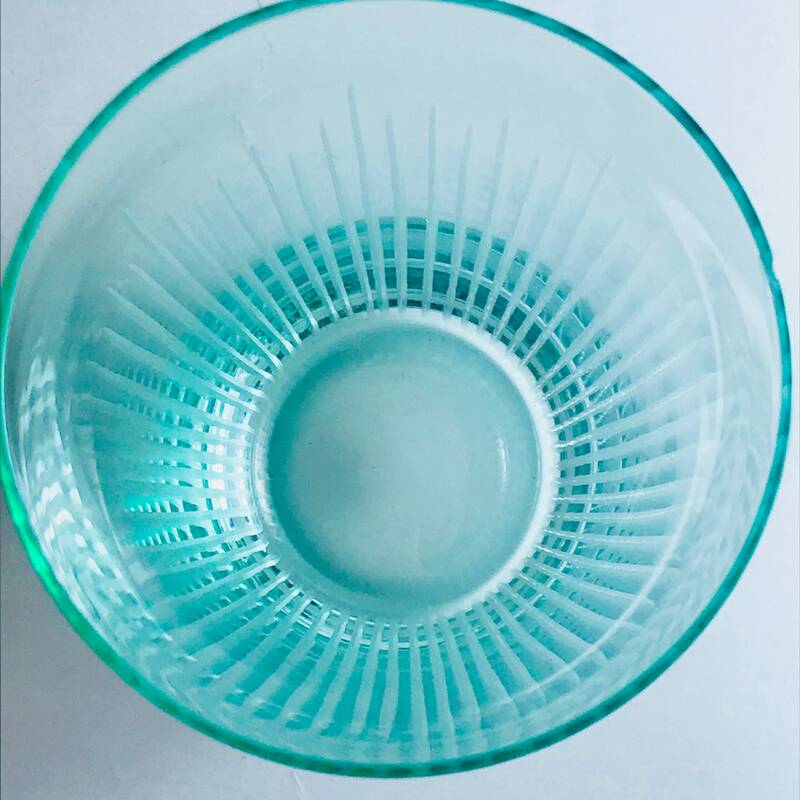 This set of vintage highball glasses are perfect for your retro bar! 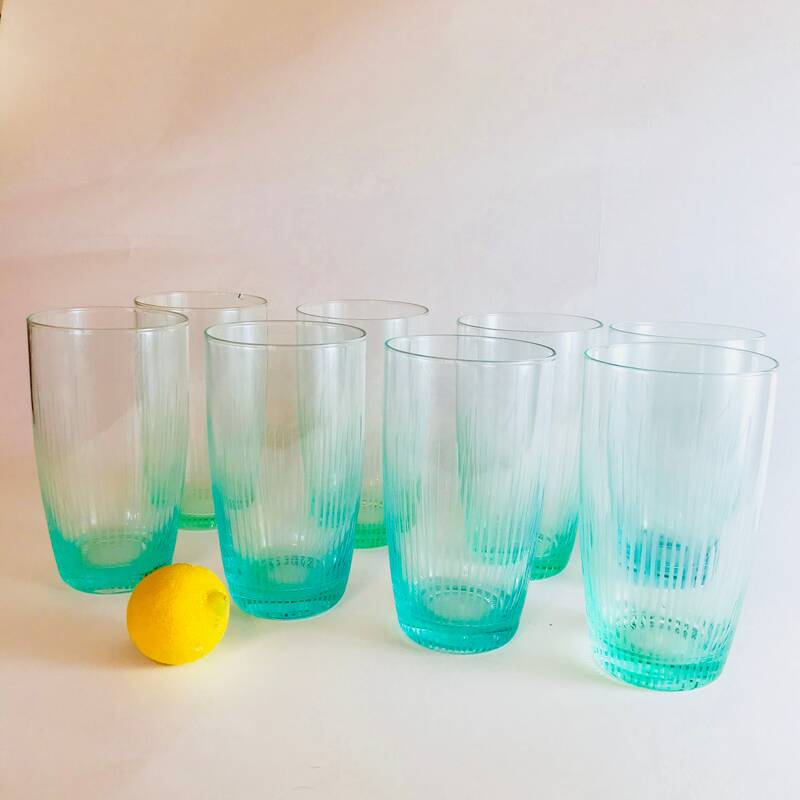 These super big aqua glasses come in a set of eight. 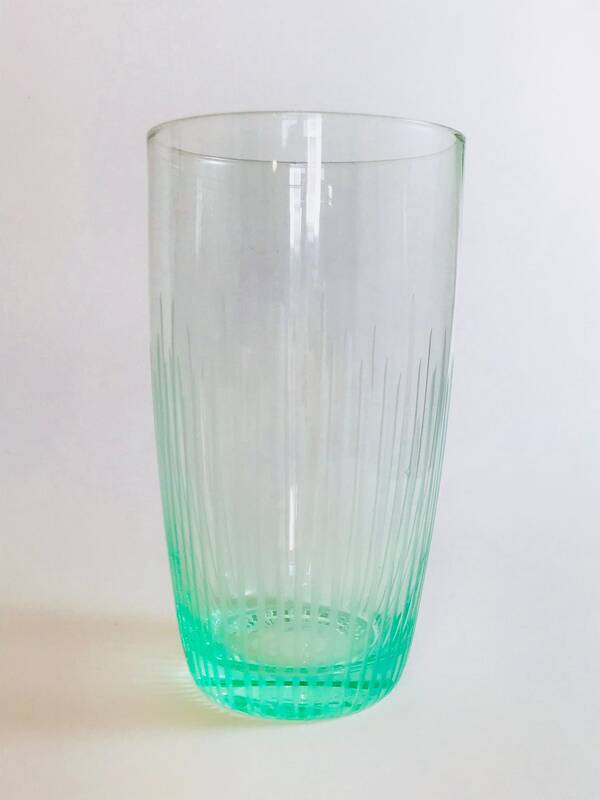 These tall, late 50s, early 60s ,Mid-Century drinking glass have heavy bottoms and are deeply etched. 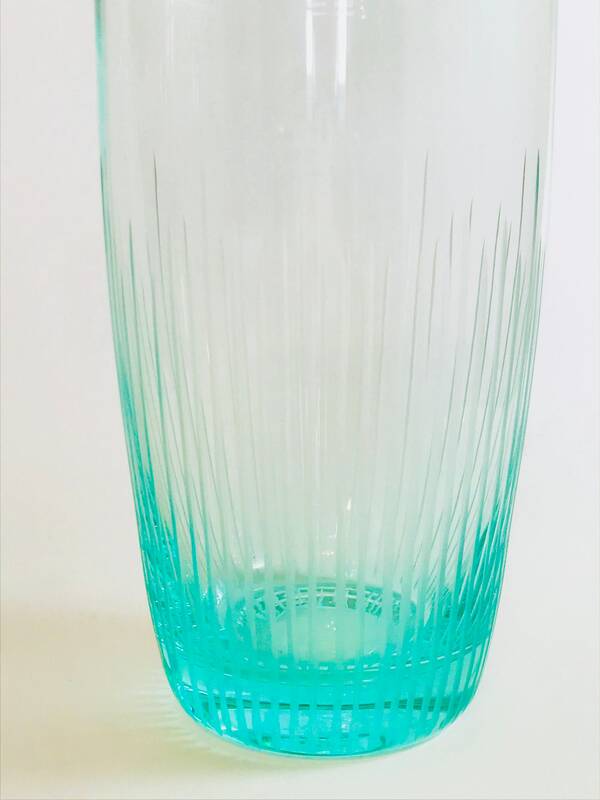 These tall drinking glasses are perfect for water, mint juleps, cold beer, ice tea, or scotch and soda! 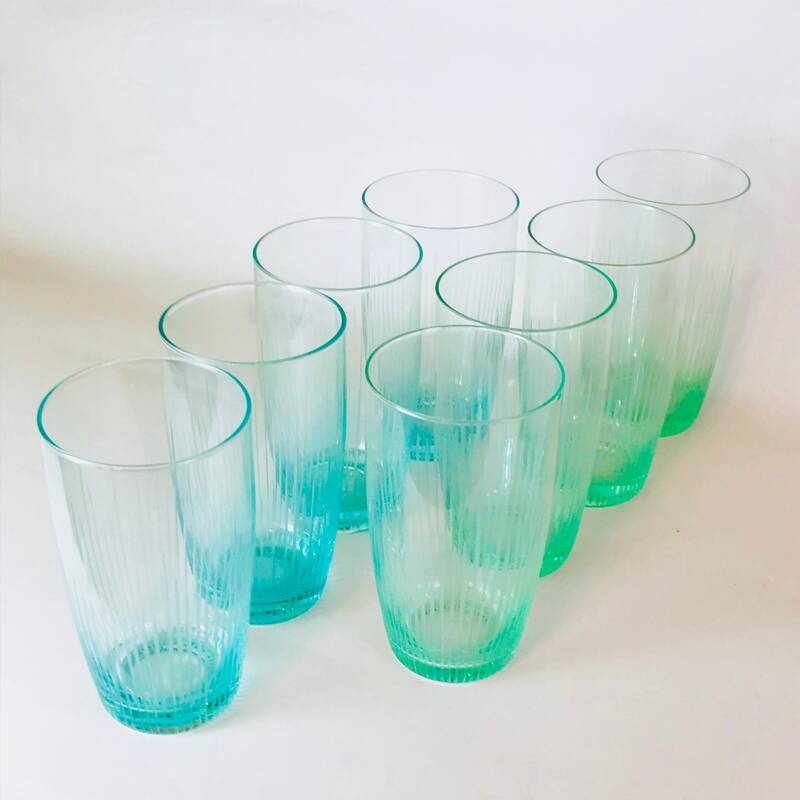 This mid-century modern set is so Don Draper! 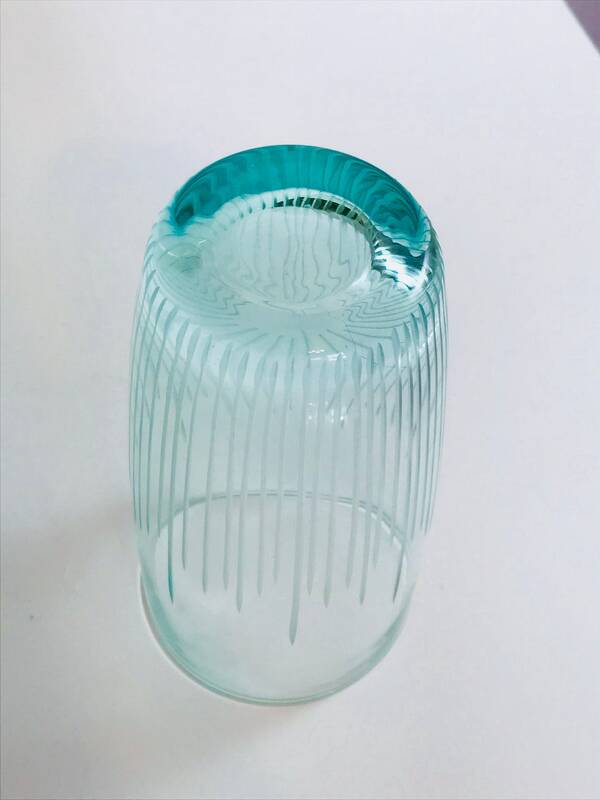 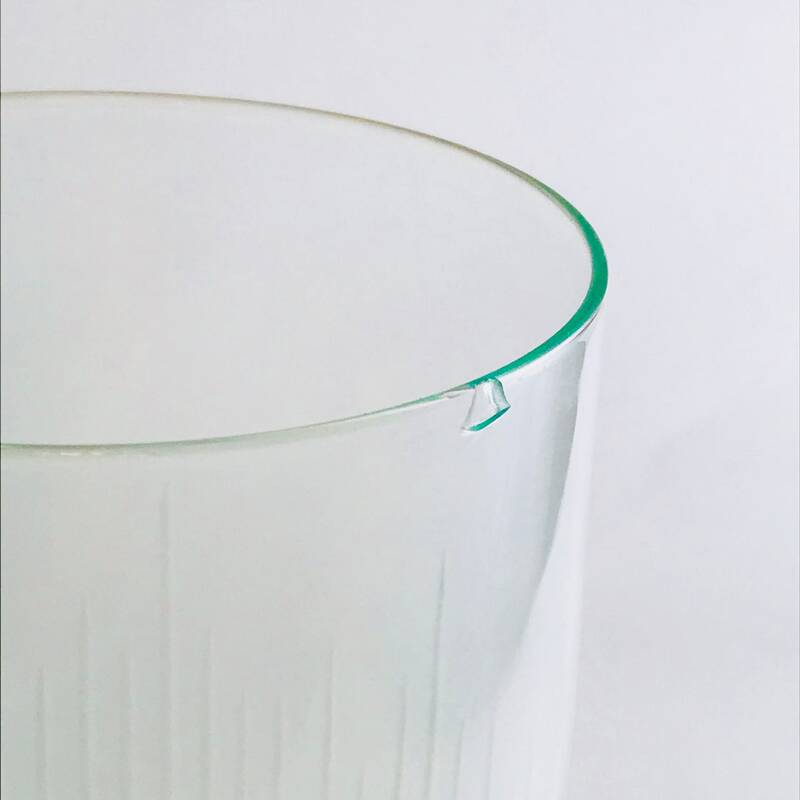 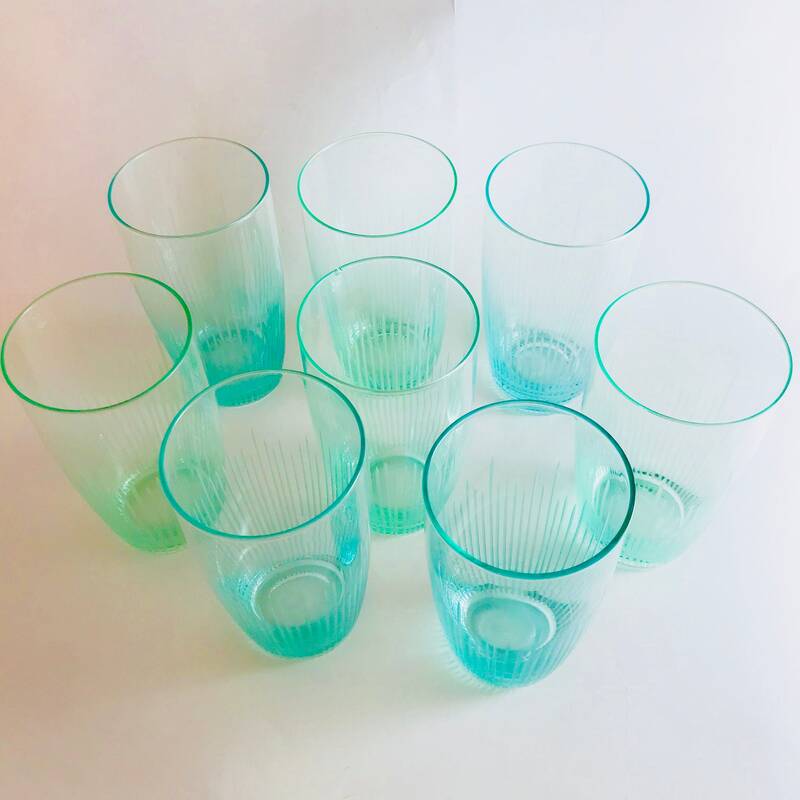 In this set, four of the glasses have an aqua blue hue and four have an aqua green hue.